Mid-season variety with very good hardiness and very good productivity. 20-30 cm in height with upstanding and spreading stems. 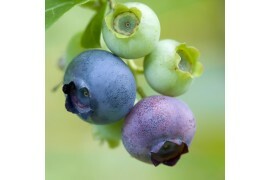 Fruit is big and oval with an even maturity and good flavors. Mid-late season variety with good hardiness and good productivity. Bushes are vigourous, 2 m tall, upright. 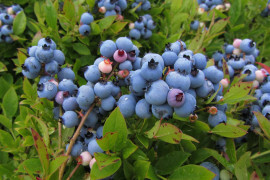 Blueberries are very large, very firm, light blue with good flavour. 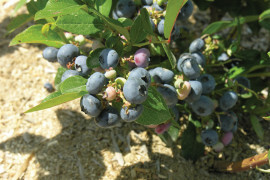 Popular variety but not as productive in cold regions or heavier soils. Mid-season variety with very good hardiness and excellent productivity. Bushes are compact, 1.2 m tall. 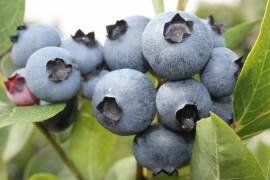 Fruit is medium in size, firm, light blue with good flavor. Early season variety with very good hardiness and very good productivity. Bushes are vigourous, 1.4 m tall, compact. 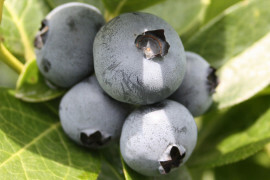 Blueberries are large, firm, medium to dark blue with very good flavour. Desirable variety for its earliness. Mid-late season variety with very good hardiness and very good productivity. 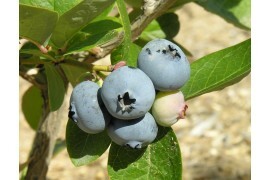 Bushes are vigorous, 1.4 m tall, upright. 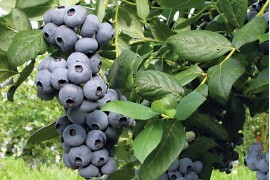 Fruit is very large, very firm, medium blue with very good flavour. The largest fruit available. 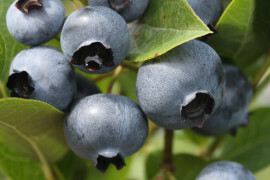 Mid-season variety, with good hardiness and excellent productivity. 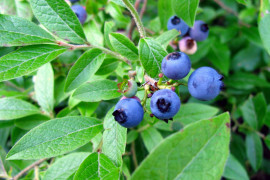 Very vigorous plants, can reach 30 cm in height, with upright and spreading stems.Fruits are round and of good size and have very good flavor. Interesting for its calibre and productivity. Early season variety with good hardiness and very good productivity. Bushes are vigorous, 1,5 m tall, uprignt growth with flowers bearing outside. Very large fruit size, adapted to all harvest methods. Late flowering but early harvest. 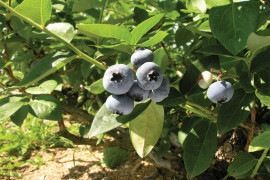 Mid-season variety with very good hardiness and productivity .Very vigorous plants can reach 80 cm in height, with upright and spreading stems. 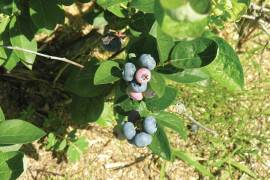 The fruit is of good calibre and pale color with a typical flavour of wild blueberries. Early season variety with good hardiness and very good productivity. 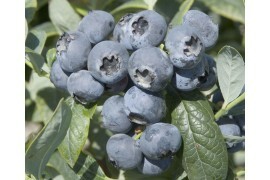 Bushes are vigorous, 2.0 m tall, open and upright. 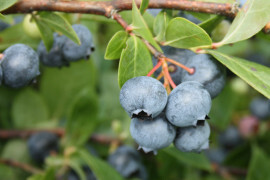 Fruit is very firm, medium blue and very good flavour. Productive at the base.